For those about to grill, we salute you! Rock out on the grill and flip those steaks like a rock god would with these heavy metal horns! 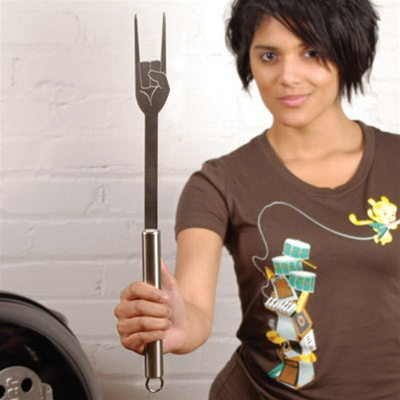 This stainless steel BBQ fork features an etched design and is 17.5" long. Perfect for bringing the noise to your next outdoor gig!